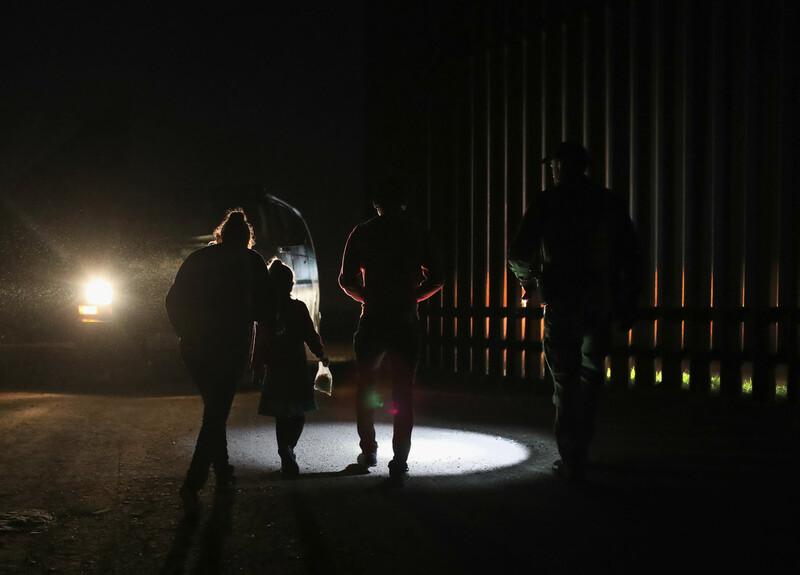 The Trump administration is reportedly considering detaining parents separately from their children. The American Civil Liberties Union filed suit this week against federal immigration officials in an effort to reunite an asylum seeker and her daughter who are being held at separate detention facilities located some 2,000 miles apart. 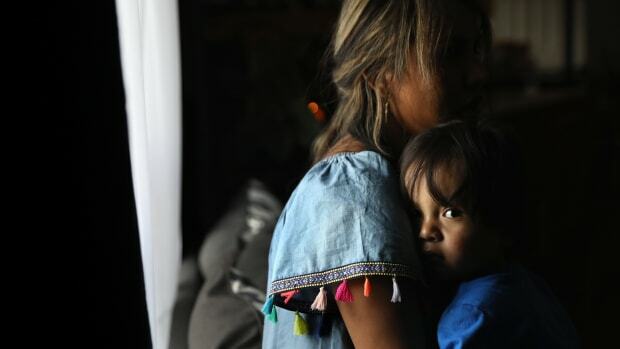 The incident is one of what the advocates claim are hundreds of similar separations transpiring across the country, part of a greater effort by the Trump administration to dissuade immigrants from coming to the United States at all. In the lawsuit filed by the ACLU on Monday, a woman referred to only as Ms. L arrived in San Diego in November from the Democratic Republic of Congo with her daughter, referred to as S.S. After some preliminary questions about the circumstances of Ms. L&apos;s arrival, U.S. immigration officials determined that she was in grave enough danger to potentially receive asylum in the U.S. and allowed her case to continue to the next stage of consideration. At first Ms. L was housed, along with S.S., in what she describes as a sort of motel, the lawsuit says. 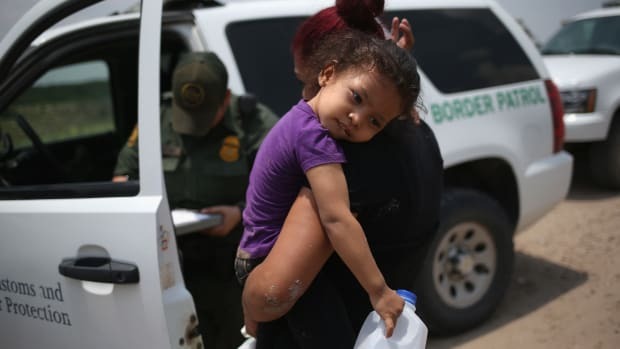 But after about four days, immigration authorities placed Ms. L in a San Diego immigrant detention facility and shipped her child to a separate facility in Chicago. The complaint paints a bleak picture of how events transpired. "When the officers separated them, Ms. L could hear her daughter in the next room frantically screaming that she wanted to remain with her mother," the complaint reads. "No one explained to Ms. L why they were taking her daughter away from her or where her daughter was going or even when she would next see her daughter." The lawsuit clarifies that authorities made no accusations nor is there any evidence that Ms. L is unfit to raise her daughter. Under previous administrations, it has been protocol to keep families together, the lawsuit also claims. 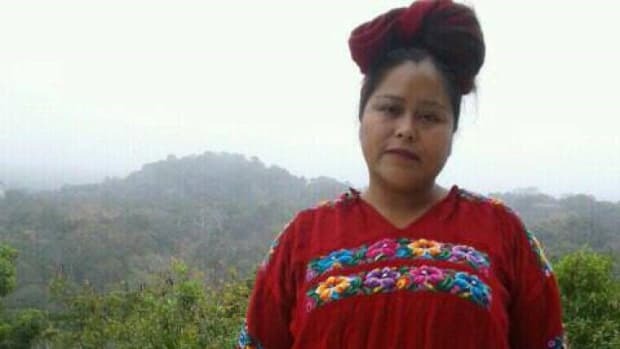 Immigration and Customs Enforcement did not respond to Pacific Standard&apos;s request for comment on Ms. L and her daughter, nor did the agency respond to request for comment on the policies that allow for their separation. The ACLU says that Ms. L&apos;s separation is one of many such forced splits. 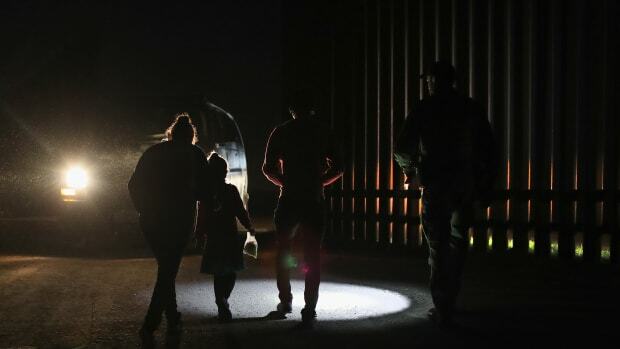 "According to advocates, there have been hundreds of separations nationwide," says Lee Gelernt, deputy director of the ACLU&apos;s Immigrants&apos; Rights Project. "Based on reports, the administration apparently believes that separating young kids from their parents will deter future asylum applicants." Numerous reports have surfaced in recent months of ICE separating families, both asylum-seeking and undocumented arrivals, and placing parents and children detention facilities hundreds or thousands of miles apart from one another. Gelernt says this immigration tactic, which he credits as an attempt by the White House to make good on President Donald Trump&apos;s tough talk on immigrants, amounts to a gross human rights violation. "This horrific practice violates due process and has been uniformly denounced by medical experts. This individual initial test case will hopefully establish precedent but it will not by itself end the practice," he says. While the suit seeks to reunite S.S. and Ms. L, the ACLU is also looking to influence larger, more systematic reform as a way to halt a practice that—like much of immigration enforcement—is shrouded in confidentiality. "We are looking at bringing additional actions in the very near future that will challenge the practice on a larger scale," he says. "We hope, however, the administration will reconsider this practice without the need for further litigation." The Trump administration has, in addition to the ramped up raids on and detentions of undocumented immigrants, engaged in what is often interpreted as an ongoing push to dissuade newcomers, undocumented and otherwise, from coming to the U.S. in the first place. Last month, ICE raided 7-Elevens across the country, arresting a slew of undocumented employees and launching audits of the employers. The raids sought not just to detain undocumented laborers, but also to discourage businesses from employing them. Officials said the underlying imperative was to discourage potential immigrants from arriving in the U.S. without documentation; without the possibility of formal employment, they argued, there&apos;s no incentive for undocumented people to come to the U.S.
"Businesses that hire illegal workers are a pull factor for illegal immigration and we are working hard to remove this magnet," ICE Deputy Director Thomas Homan said in a press statement on the operation. Critics, saying that just because undocumented people can&apos;t find work at visible franchises governed by U.S. labor law like 7-Eleven doesn&apos;t mean they&apos;ll stop coming or turn around and go back to their countries of origin. Rather, they will enter informal, unmonitored sectors in order to make ends meet. The Trump administration&apos;s bid to make immigration unattractive has gone beyond workplace raids; it has also discouraged the American relatives of immigration applicants from using public services. Earlier this month, the Department of Homeland Security issued a new draft immigration rule that would make it count against family-based immigration applications when the applicant&apos;s American relatives use services like food stamps or housing assistance. A copy of the draft rule, published by Vox, echoed Homan&apos;s view that the administration should de-incentivize immigrants from coming to the U.S. in the first place. 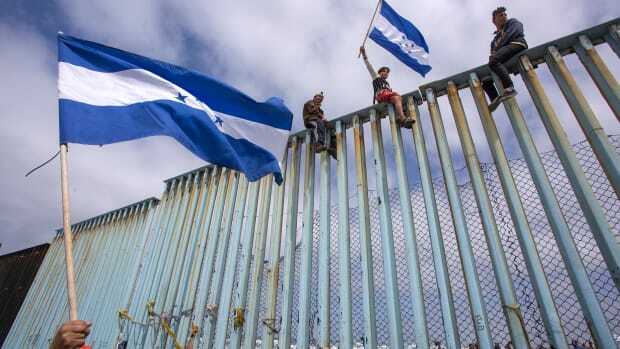 "The availability of public benefits must not constitute an incentive for immigration to the United States; and Aliens in the United States must not depend on public resources to meet their needs," the draft reads. The policies, taken together with Ms. L&apos;s story, paint a grim reality for immigrants in the U.S.
Lawsuits challenging earlier TPS cancelations charge the Trump administration was guided not by calculations over the nations' safety, but by racism.